← Why is the Marriage Tribunal Insisting I First Need a Divorce? How Many Miracles are Required to Canonize a Saint? A: Sylvie is of course referring to the Vatican’s July 5 announcement that a miracle has been attributed to the intercession of Blessed John Paul II, clearing the way for his canonization. The same decree also indicates that Pope Francis has approved a decision made at the Vatican’s Congregation for Causes of Saints, regarding the canonization of Blessed John XXIII—although no miracle has been attributed to him. What’s going on here? To answer Sylvie’s last question first, yes, the process for the canonization of saints in the Catholic Church is governed by canon law. At the same time, however, the body of law actually pertaining to canonization is not found in the Code of Canon Law itself: a solitary canon, canon 1403.1, notes simply that canonizations are governed by special pontifical law, promulgated separately from the Code. In 1983, Pope John Paul II reworked the canonization process, which is outlined in his Apostolic Constitution Divinus Perfectionis Magister—the “special pontifical law” referenced by canon 1403.1. The general rules regarding miracles can be found in this document; but because the current canonization process as a whole is the end-result of nearly two millennia of gradual historical development, let’s take a look first at how the requirement of miracles evolved in the first place. The Church’s first “saints” (derived from the Latin word sancti, or “holy ones”) were martyred for their faith during the Christian persecutions. The early Christians quickly began to commemorate annually the dates when the martyrs had died—a practice which soon led to set liturgical calendars, containing feast-days for the various saints. In the first centuries of Christianity, there certainly was no legal process for the canonization of saints; rather, it was obvious to all that if a Christian had been killed because he refused to renounce his belief in Christ, he had undoubtedly entered Heaven after making what was considered the ultimate act of virtue. In short, people knew a saint when they saw one! Thus there was no need for legal procedures, for canon lawyers, or even for miracles—the martyr’s fellow-Christians simply began venerating him as a saint, and that was that. As the Church grew in size, the close relationship between a bishop and his (originally relatively small) congregation was lessened. Sometimes a holy person might die, and his exceptionally virtuous life was not already known to everyone—and so a sort of perfunctory investigation appears to have taken place, as an understandable way to determine that yes, the deceased truly did merit veneration as a saint. During the Middle Ages, when martyrdom had all but disappeared, most of those deceased non-martyrs who were determined to deserve veneration were “vetted” in some way by church authorities first. Readers with a background in medieval history will appreciate that during this period, procedures were inconsistent and written records are scarce! Nevertheless, at some stage it became common to allege, as part of the “case” in favor of regarding a deceased Christian as a saint, that miraculous cures were taking place as a result of his intercession. Surely (it was argued) this constituted definitive proof that the person must already be in Heaven, and able to intercede with God on our behalf! In this way, the notion gradually developed that miracles are evidence that a deceased person is indeed a saint. In the 12th century, the canonization of saints became centralized in Rome, thanks to a curious case of abuse in faraway Sweden. A letter still exists from Pope Alexander III (who reigned 1159-1181) to the King of Sweden, castigating the Swedish people’s veneration as a saint of a man who had actually been killed while he was drunk. The Pope noted that even though miracles may indeed have occurred near the tomb of this man, it was not permitted to venerate anyone as a saint without the authorization of the Roman Pontiff. With this letter, the practice of papal canonization was born. Henceforth, any changes to, or clarification of the procedure to canonize saints would come directly from the Pope himself—and that would, of course, include any requirement of miracles. 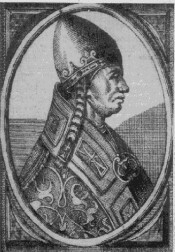 In 1198, Pope Innocent III directly addressed the notion that miracles were a necessary component of the canonization process: “Two things are required, so that somebody may be considered a saint in the Church Militant, namely works of piety during his life, and miracles after death.” But in case anybody thought that miracles, in and of themselves, were enough to become a saint, the Pope subsequently observed, “Neither merits without miracles, or miracles without merits fully suffice to present evidence of sanctity… for an angel of Satan can transform himself into an angel of light, and certain persons may do their works in order that they may be seen by men.” The link between canonization and miracles was thus established. Still, it was unclear for many centuries how many miracles were really necessary, and it varied from case to case, always depending ultimately on the final approval of the Pope. And what about true martyrs—did they need to perform miracles too, or was the shedding of their blood for Christ still considered to be enough? In the 17th century, Pope Urban VIII asked a commission of experts for their opinion on this issue, when he was considering the canonization of the former Archbishop of Polotsk (today in Belarus), Josaphat Kuntsevych. 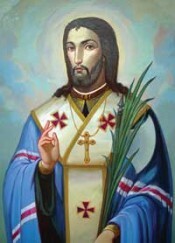 Josaphat had been killed in 1623 by a crowd of Orthodox, who had attacked him because he was a Catholic. The Pope acknowledged that Josaphat had truly died a martyr’s death; but since miracles had already been a necessary component of canonizations for centuries, Urban wanted a panel of scholars, knowledgeable on this very subject, to formally weigh in on the issue. Like so many scholarly commissions throughout history, Urban’s panel of experts waffled. Eventually they concluded that in cases of clear-cut, undeniable martyrdom, miracles are really not necessary for canonization. In those cases where the person’s death as a martyr is more open to question, however, the occurrence of miracles actually constitutes verification that the potential saint did indeed die as a genuine martyr. After all, it’s theoretically possible that someone who dies a martyr’s death might have reneged on his faith at the last minute—meaning that his supposed “martyr’s death” was actually nothing of the sort! Thus miracles constitute a sort of “insurance policy” even in the cases of martyrs, to make sure that even if their death didn’t really constitute martyrdom, they nevertheless must be in Heaven today, able to intercede before God for us here on earth. 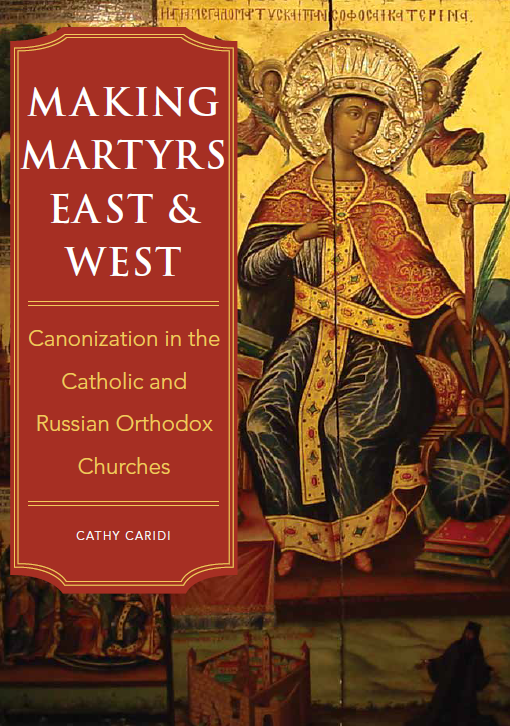 We can see that the process for canonizing saints was becoming very legalistic and quite complex—a far cry from the spontaneous recognition of the merits of the martyrs, back in the early centuries of the Church! Under the 1917 Code of Canon Law, the procedural complexity continued. The law required two, three, or four different miracles, depending on their verifiability—those attested to by eyewitnesses held more weight than those authenticated from hearsay. After beatification, at least two more miracles were required for canonization. This meant that in a given case, it was possible that the Church might require more than six miracles to be documented before a person could be canonized. There was a loophole, though: the former canon 2116.2 specifically noted that if miracles were lacking, the Pope could dispense from the requirement of miracles in such a case. Starting in the 1970’s, it became commonplace in cases of both martyrs and non-martyrs for Rome to dispense from the second, and subsequent, miracles needed for beatification, as well as from the second miracle required for canonization. The idea nevertheless remained entrenched at the Vatican that although miracles, in the case of martyrs, may not be strictly necessary, they still helped to confirm the authenticity of the martyrdom. For this reason, it was standard practice for the Vatican formally to oppose the granting of a dispensation from the requirement of miracles altogether, even in the causes of martyrs. So, to return to Sylvie’s question, the canonization of Blessed John Paul II is proceeding in complete accord with the norms on miracles. One miracle was documented for his beatification, which took place in 2011; and a second one—the “inexplicable recovery” of a woman from Costa Rica who had suffered a brain aneurism—has just recently been accepted for his canonization, for a total of two. The case of Blessed John XXIII, however, is different. While his beatification in 2000 took place in accord with the usual norms, after a miraculous medical cure was documented, there has been no subsequent miracle established to have taken place through his intercession. The Church’s procedural norms would, strictly speaking, require his canonization to be postponed until a miracle had been verified. But the option always exists, however, for the Holy Father—who is the Supreme Legislator—to dispense from this requirement. 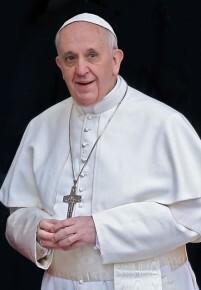 As was discussed in greater detail in “Are There Any Limitations on the Power of the Pope?” the Pope cannot change or dispense from church laws which are grounded in divine (sometimes known as natural) law; but he has full authority to amend those laws which were created by human ecclesiastical authorities. The procedural norms for the canonization of saints certainly fall into the latter category, as they have no particular basis in any direct commandment from God Himself! Consequently Pope Francis is completely free to make an exception in the case of Blessed John XXIII, and canonize him without a second miracle ever having been definitively attributed to him. In short, Sylvie’s memory is correct, that canonizations in years gone by took place only after a higher number of miracles had been established. But the Vatican’s decree regarding the canonization of Blessed John Paul II will take place in full accord with current procedural norms, and Blessed John XXIII will be canonized after a legitimate relaxation of current law by the Pope himself. This entry was posted in Other Canonical Questions, The Pope and tagged canon law, canonization, canonize, Catholic, John Paul II, John XXIII. Bookmark the permalink.